(12:55 p.m. EST) -- As part of its ongoing push to expand shore excursions, Viking River Cruises will add active choices on several European itineraries in 2018 and 2019, including canoeing, biking and electronic-biking tours. Among the new excursions are wetlands canoeing on the Elbe, Danube (near Vienna), Moselle and Normandy (on a tributary of the Seine) rivers, as well as bike and e-bike tours in Austria's Wachau Valley and around the windmills of Kinderdijk. In the Black Forest, one tour will allow passengers to bike through vineyards, then visit a home for coffee and cake. The active excursions will have an extra fee. Additionally, Viking will not carry bikes or canoes onboard; the equipment is provided for the passengers when the ship is in port. 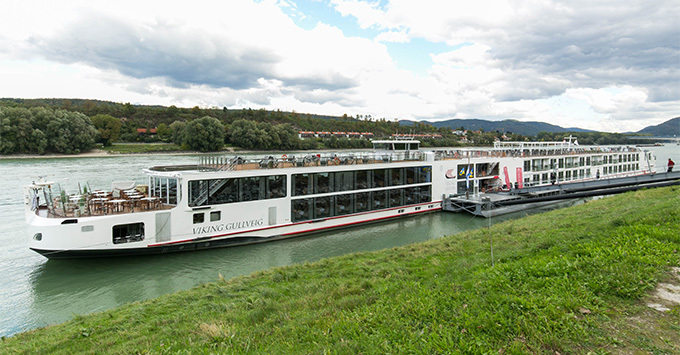 Viking's CEO Tor Hagen has long said that his river cruises are about the core experience centering on destinations, cabin choice and thoughtful inclusions like Wi-Fi and drinks at lunch and dinner -- not extras like bikes, fitness rooms and spas (although concierges onboard will help passengers who want to work out or get a massage find places in port). That's opposite from other river lines, many of which have added bikes and spas to onboard offerings. So why the change? Two reasons. First, Viking made a major expansion of its shore excursions offerings this year, building a portfolio of optional tours around several pillars: Local Life, Working World and Privileged Access. Passengers can still take the included excursion, which is usually a coach or walking tour, but there are now a lot more choices available in almost every port. Second, adding the online portal MyVikingJourney.com in 2016 made it easier for the company to offer a wider range of activities, including those that would require advance booking (such as anything with equipment, like bikes and canoes), as well as activities that might be available only on certain days or times of the year. The portal was an innovation developed on Viking Ocean that was then brought to the company's river cruises, an example of the cross-pollination that goes on between the two. Cruise Critic sampled some of Viking River's new excursions earlier this year, during the inauguration of the line's newest Longships, Viking Hild and Viking Herja. We found the new culinary walking tour in Strasbourg, France, to be a huge hit; a Martin Luther themed trip in Worms less so (the latter was a limited offering in 2017 marking the 500th anniversary of the Reformation). Either way, though, cruise passengers appreciate choice, and Viking says guest satisfaction reports have gone up since more options were added.